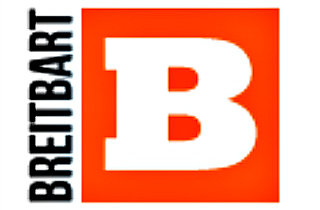 Breitbart.com became the latest right-wing media outlet to throw its weight behind the Kremlin's crackdown on LGBT Russians, touting the "more than 100 human rights and other groups from around the world" that signed a joint statement backing Russia's anti-gay laws. This week more than 100 human rights and other groups from around the world signed a joint statement supporting the new Russian law banning gay propaganda aimed at school children. The signers are "highly concerned about the heavy attacks that the Russian Federation is facing due to its recent Federal Law...that protects innocence and moral formation of children..."
The signers cite the Universal Declaration of Human Rights that the family is the fundamental unit of society and "is entitled to protection by society and State." They assert the new Russian law "protects the innocence of children and the basic rights of their parents recognized in international legislation and treaties." They also note that the concepts of "sexual orientation and gender identity" are not outlined in the existing binding international treaties and agreements. What's more, of the 100-plus groups on the list, "most consider themselves human rights organizations." A look at the six U.S.-based groups who signed the statement indicates that their self-assessment isn't entirely accurate. Among the "human rights organizations" supporting Russia's assault on LGBT rights is the Illinois-based World Congress of Families, whose spokesman has said that marriage equality means the U.S. is "doomed to extinction." The organization has also worked to defend laws criminalizing homosexuality. Another "human rights group" supporting the crackdown is the Population Research Institute, a far-right anti-contraception organization. Right-wing commentators like Rush Limbaugh have cited Russia's demographic challenges, including a declining birth rate, to defend its anti-gay laws. Though the Breitbart piece didn't disclose it, Ruse's C-FAM also signed the statement. C-FAM's crusade for "human rights" has included working to block a U.N. treaty protecting the rights of people with disabilities and championing the former right-wing government of Poland's bid to fire teachers who promoted "homosexual culture." As Ruse sees it, these organizations are nevertheless part of the "human rights" community, because they're working to "free" youth from homosexuality - an outcome which, Ruse contends, is not only desirable, but unquestionably possible. Ruse cited psychiatrist Paul McHugh's claim that "sexual orientation is not immutable" and Lisa Diamond's statement that there's "no scientific or popular consensus ... that definitively 'qualify' an individual as lesbian, gay or bisexual." Inconveniently, Diamond, a psychology professor at the University of Utah, has blasted anti-gay activists for appropriating her words, writing that they have "incorrectly characterized" her work and research, which "says nothing whatsoever about the immutability of sexual orientation itself." McHugh, meanwhile, is a reliable purveyor of anti-LGBT defamation, trotted out by the likes of Fox News when they're looking for an "expert" smear the LGBT community. The American Psychological Association (APA) states that homosexuality is not a mental disorder and, being deeply rooted in biology, something that can't and shouldn't be "cured." As the APA notes, alleviating "societal ignorance and prejudice" - of the kind that exists among Russia's lawmakers and on Breitbart.com - should be the primary focus of those concerned about LGBT youth.